As a sales manager, you want to stay on top of your company’s growth, but it can be complicated to pinpoint who or what is contributing to its success (or lack thereof). After all, there are many stages and factors that play a role in the sales process — this is where sales reporting comes in. What is sales reporting and why do you need it? 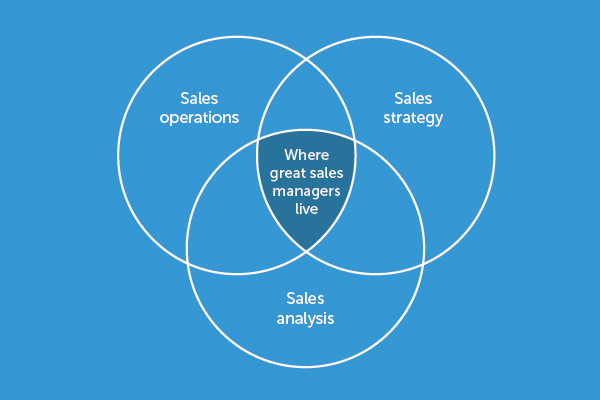 Sales reporting is where good sales managers live because it gives insight to the process and a foundation of successful sales operations, strategy and analysis. It’s the process of keeping track of information at every step of the sales process and analyzing the data, in order to predict where your company’s success lies and determine where to improve its results. Again, there is more to measuring your company’s growth than by the number of sales you make — you need to know exactly what is driving those sales to figure out how to keep them up as your market grows. Once you understand the reasons behind your data and results, you will have a clearer understanding of where to focus your sales team’s efforts to drive decisions about production quantities, timelines, employment needs, pricing, and other essentials that keep your business flourishing. Why does a team member have a lot of prospects but isn’t closing any deals? Why is one team member about to break a sales record while another can't get a deal past the second stage of the pipeline? Are you on course to hit your yearly target or do you need to make a drastic correction to your sales process? In addition, salespeople tend to love a little competition, so giving them visibility into where they stand in relation to everyone else can promote higher performance across your team. What should I report on, how, and how often? Sales metrics are the quantifiable indicators that tell you how each aspect of your sales operations is performing and whether you are achieving your targets. Metrics help you clarify where your efficiencies are as well as your inefficiencies. There are a seemingly endless number of things you can report on, but it all boils down to your company’s growth needs and measuring the things that will allow you to make the best business decisions. If some metric is irrelevant to moving your leads forward, it’s a waste of time and doesn’t need to be measured. Number of deals in the pipeline (number of prospects): This is the total number of deals you have in all the stages in your pipeline. Not only is it important to know how many deals are in your pipeline, it’s important to know where they are, when they are expected to close and the likelihood of them turning into revenue for your business. Deal size: Sales contracts can have widely different valuations, depending on a number of factors, but you need to determine the average deal size in your pipeline for making quick but sound sales forecasts and strategies. Conversion rate (close rate): Determines the average number of open deals you need to close one deal, based on past results. Sales velocity (sales cycle time): Sales velocity refers to the average time it takes for a lead to enter the pipeline and go through the sales process to the closing stage. The faster it takes to complete the sales cycle, the better for your team. You should have a set of averages and targets for every stage of your sales process. It may be tricky to figure them out when you’re just starting out, but keep in mind that great results don’t happen overnight. It is a process — embrace it. 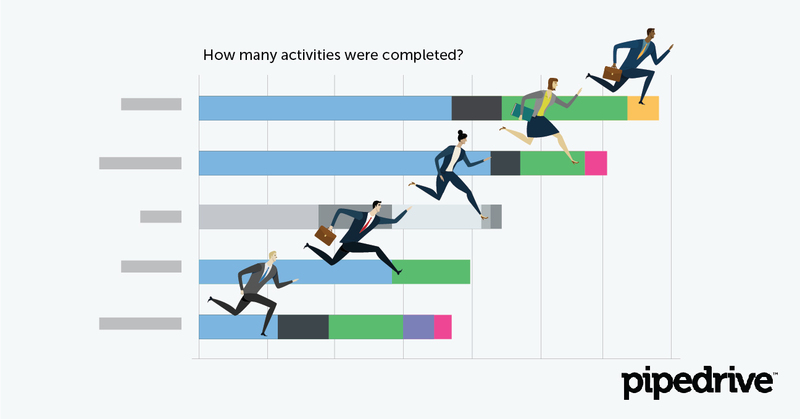 After you’ve tracked activities for a while, you should start seeing value in your sales reports. How do you manage sales reports? You’ll want to use a tool, such as a CRM with built-in sales reporting abilities, which will allow for a consistent way to track and visualize your data. It’ll put you in a position to succeed by giving you a real-time view of your sales activities and quickly allowing you to understand how your team is performing, compare results, and identify opportunities for improvement with complete clarity. If you’re not quite ready to use a CRM, you can also achieve similar results in an Excel file. Having these processes in place doesn’t excuse managers from personally overseeing their team’s activities. Numbers don’t always tell the whole story, and big numbers don’t necessarily mean the right activities are happening. It is most effective to do qualitative as well as quantitative analysis and reporting to validate your sales process. You have to watch and ask your team questions if you truly want them to understand where you can improve as a whole. Furthermore, your sales team may see where they are lacking statistically but may not necessarily know how to improve those statistics if they don't know exactly what is causing the issue. Be aware of this, and be ready to support their desire to improve. Sales reporting helps you take the guesswork out of your business decisions by giving you a clear view of where your company stands at every level of your sales process. By focusing on measurable activities that have clear outcomes, you can add more value to each individual salesperson and the company as a whole.